How Do Companies Use Reloadable Debit Cards? As a business owner, you thrive on being able to adapt. If you can’t react to changing conditions, then you’ll lag behind, and that’s the one thing you can’t afford. Before settling on a reloadable debit card you should consider Bento for Business. It is more than just another means of commercial payment. It’s the ultimate business Visa debit card for easy flexibility and straightforward control. Setting up Bento for Business is blindingly quick, and its everyday use is equally streamlined. Just sign up, connect your bank account and transfer funds into your Bento cards to experience the freedom of superior expense management. This is different than reloadable debit cards which are not connected to a bank account. Being a small business owner means more than having a vision. You have to be everywhere at once to ensure that the many pieces of that vision come together smoothly. This doesn’t leave much time for accounting, but Bento lets you put financial oversight behind you. You can even pair Bento’s data with QuickBooks to keep your books accurate and your accounting simple. Bento’s features build on the best of modern financial services and technological convenience. You can add funds, modify spending limits on a per-employee basis and manage your account from anywhere as the need arises. 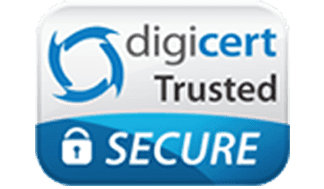 Unlike most reloadable debit cards our secure technology incorporates SSL encryption and a mobile app that lets you decide who spends what 24/7. We’ve even built an employee version of the mobile app to help your staff exercise better financial habits while eliminating the need for reimbursement paperwork. By keeping you informed and in control, we help you implement fiscal policies that work. When you’re trying to nip fraud in the bud, nothing’s better than a business Visa debit card to establish strict spending limits. Are your financial practices long overdue for an improvement? 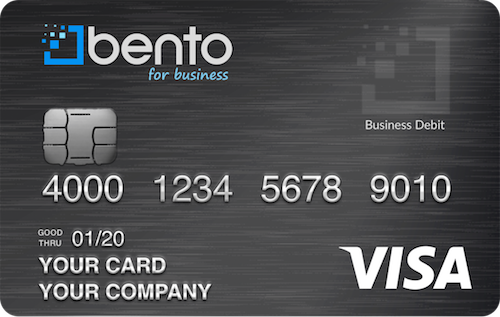 Put a futuristic business Visa debit card to the test with Bento for Business. Unlike reloadable debit cards, business Visa debit cards from Bento require a business bank account. These cards are not reloadable debit cards, but work just as well if not better. For as little as $29 per month, you can configure ten employee cards that are FDIC-insured up to $250,000. It only takes 60 seconds to start your free 60-day trial, so don’t wait any longer. Learn more about the Bento Visa debit card by completing our contact form or calling our support staff at 866.220.8455. We’re eager to help your business achieve its full potential.